In this article I highlight Lief Simon’s poin of view regarding the actual state of the real estate market in Turkey. Enjoy! 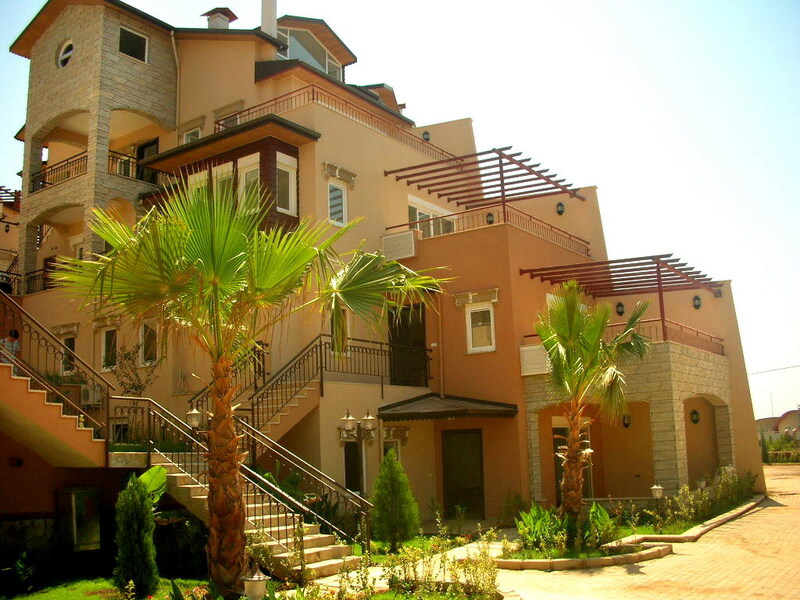 The real estate market in Turkey wasn’t hit as hard as others around the world in 2008 and 2009. Values in some districts of Istanbul dropped by maybe 25% at the height of the downturn (about the same as in Panama)…but in just a year-and-a-half prices had recovered. That rate of appreciation (10% to 15% per year on average) has continued through this year and is expected to carry on indefinitely. Specifically, real estate values in Istanbul were up 11.6% on average in 2013, according to the real estate company in Istanbul I spoke with. And 2014 growth rates are expected to be greater. That said, to put things into some perspective, the 11.6% average rate of appreciation isn’t as impressive for the locals, as inflation in the country has been running about 9% a year. Still, real estate has been staying in front of inflation on average, making it a good place for Turks to park their capital. And I believe it’d be possible to realize appreciation well beyond the averages if you bought right. My real estate contact reports possible appreciation of up to 30% per year…again, if you know what and where to invest. Foreign buyers also have to consider currency exchange rates. A foreigner who invested US$100,000 on Jan. 1, 2013, would have had an 8.5% loss in U.S. dollar terms on Jan. 1, 2014. On the other hand, rental yields in the 10% to 12% range could have made up for the capital loss. As real estate is a long-term investment, you can’t worry too much about short-term currency fluctuations, but you do want to be aware of them. Had you invested that same US$100,000 on Jan. 1, 2014, you’d be up 3.5% on the currency alone this year…and up better than 6% appreciation through the first half of 2014. What’s driving these levels of appreciation in property values? Inflation is one factor, of course. In addition, the GDP growth rate has been 4.5% to 5%. However, one of the most compelling explanations for why property prices have been going up as quickly as they have been is a big and growing local housing demand. We witnessed this same phenomenon in Ireland during the property boom in that country. The difference in Turkey is that the Turkish economy isn’t predicated on importing foreign business activity, as was the case in Ireland. Turkey has a population of 74 million (about 20 times that of Ireland when we lived there). Some restrictions still exist on foreign property ownership (a foreigner can’t own more than 30 hectares of land, for example), but these don’t affect the average investor. Where to buy? I’d focus on Istanbul rather than the vacation properties along the coast that many foreigners have been buying. Vacation markets supported by mostly foreign buyers are less liquid than a local market like Istanbul. When you decided to sell your asset in this city, you’d have many different potential buyers to appeal to. Bottom line, despite excellent appreciation over the last four years, you haven’t missed the boat on Turkish real estate. Expect decent appreciation for at least the next several years or more and solid, even double-digit rental returns. Next Next post: World’s best 21 places to live, retire or have the adventure of your life right now!